Nokia can’t make phones till 2016. But they can focus in Tablet division, as they showed us their new android based tablet call Noki N1 earlier this year in MWC. Later it hits the Chinese market with a huge success all of its batches has been sold out in a minute. It also won the best tablet award in China. According to Nokia Power User report this tablet might be set it course to India. According to the Zauba import data on the website, the Nokia N1 Pad has come to Bangalore from the US and it is meant for internal testing purposes. 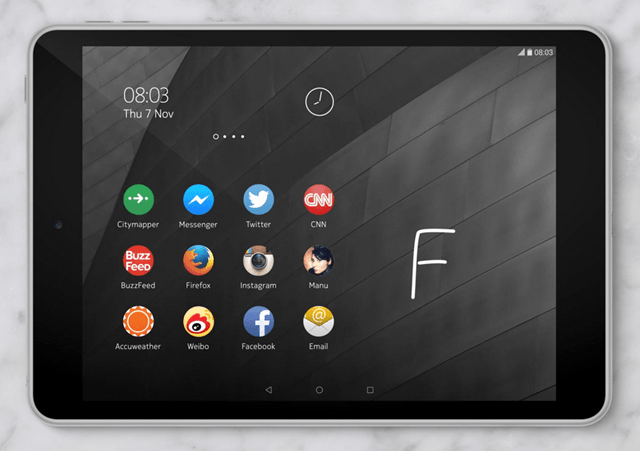 Nokia N1 is the first product which uses the Android platform. It has 7.9 inch, 4:3 aspect ratio, 2048X1536 resolution laminated IPS display.It has an aluminium body with surface anodisation, one-piece design, 6.9mm thick, 318g. It packs with 64-bit quad-core Intel Atom Z3580 CPU, 2.3 GHz with 2GB RAM. 64-bit quad-core Intel Atom Z3580 CPU, 2.3 GHz, 2GB RAM. From camera section it has 8MP rear, 5MP front-facing cameras. And last but not the least, N1 powered by Android 5.0 Lollipop comes loaded with a 5300mAh battery.